The Village of Wellington is a village west of West Palm Beach known for its many beautiful parks and equestrian interests. It’s history begins in the 1950’s when Charles Oliver Wellington, an accountant from Massachusetts, purchased 18,000 acres. In 1959, Roger Wellington inherited the land after his father passed. They sold 1,200 acres to farmers in the 1960’s. In 1972, Roger Wellington sold 7,200 to land developer Jim Nall of Ft. Lauderdale to turn Wellington into a planned unit development. This is when the construction of Lake Wellington began as well as neighborhoods, a golf course and a country club. In 1995, the village of Wellington was incorporated as an official village of Palm Beach County. It is internationally known for its equestrian sporting events. From January to April, Wellington hosts the Winter Equestrian Festival, the largest and longest running horse show in the world. Wellington also has the Wellington Environmental Preserve which features nature trails, an observation tower and an equestrian trail. 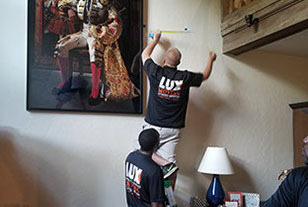 As Palm Beach County residents ourselves, all of our movers at Lux Moving and Storage are active members of the community as well as dedicated movers of the West Palm Beach area. At Lux Moving and Storage, we are committed to your satisfaction 100%! The village of Wellington is the most populous village in Florida. In 2014, Wellington had a population of about 61,000. It is also the fifth largest municipality in Palm Beach County by population. 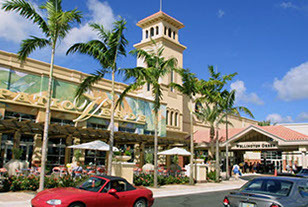 A popular retail destination is the Wellington Green Mall. With over 170 stores and eateries, Wellington Green Mall has been the destination for retail therapy for residents. We are known throughout Wellington to provide moving services to both residents and business owners, with exceptional attention to customer satisfaction. We are always committed to providing you with stress-free moving services at a price that won’t break the bank. Servicing the Wellington area for 13 years now, Lux Moving and Storage have come to know all of the 45 square miles of Wellington. We have left lasting impressions on the toughest client critics. All over town we continue to go above and beyond customer expectations, making a standard practice out of our client’s satisfaction. Be one of many to have a truly great moving experience and reach out to us for your moving needs. Give us a call and see why Lux Moving and Storage is so highly recommended in the industry.